Upgrade your eyewash station. 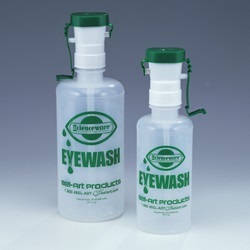 This bottle has an eyecup for an upgraded fluid delivery system that allows the victim’s eye to be treated in any position, whether the victim is sitting, lying down or standing upright. 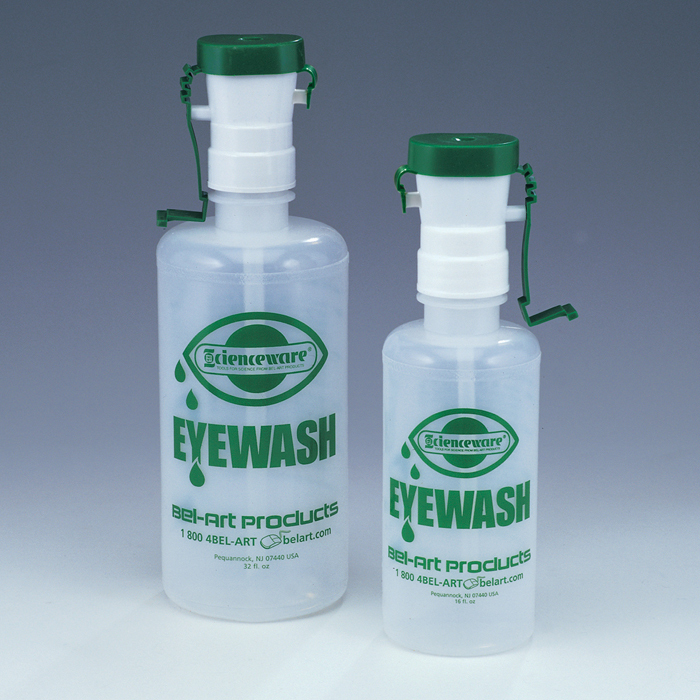 Universal symbols and multi-language directions on the bottle confirm how to use the eyewash bottle. 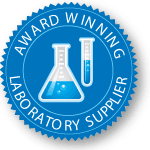 Snap on cap protects eyecup surfaces from contaminants. Bottle comes empty. 248500000 500 mL / 16 oz. 248510000 1000 mL / 32 oz.